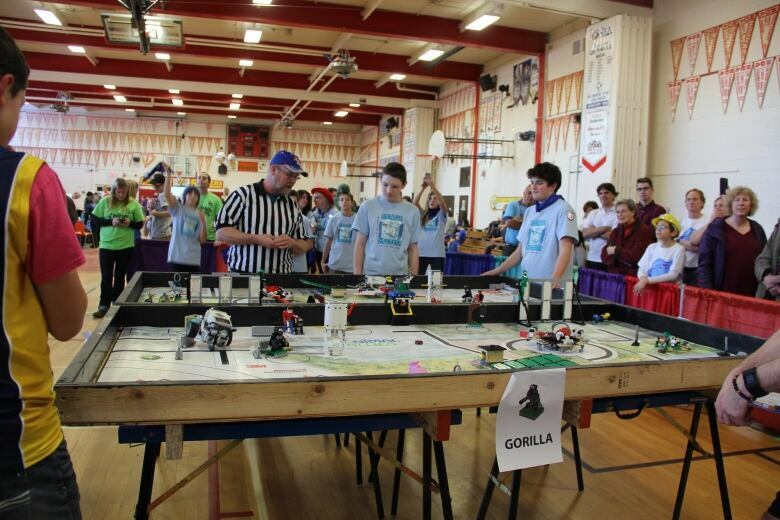 On Saturday, FIRST (For Recognition of Science and Technology) Lego League teams will be competing in North Bay for a chance to participate in a provincial competition in 2019. Tournament organizers expect over 200 kids to fill West Ferris Intermediate Secondary School, a big increase from the tournament's beginnings four years ago. According to the FIRST website, teams in the tournament choose and solve a real-world problem. 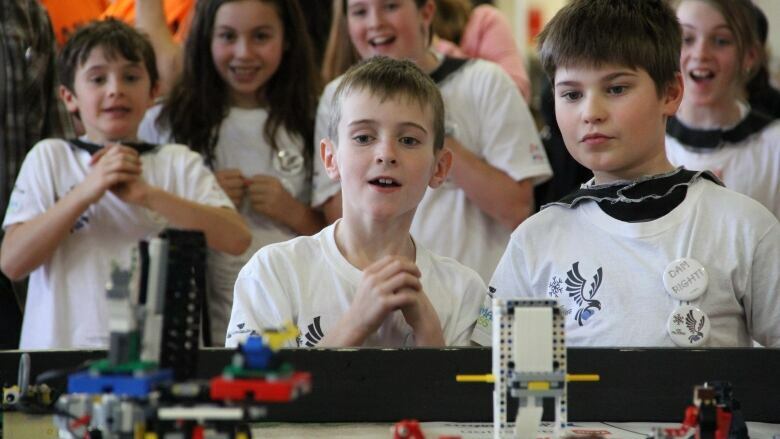 They also build, test, and program an autonomous robot using Lego Mindstorms technology to solve a set of missions in the Robot Game. This year, the real-world problem students will tackle will be centred around an "Into Orbit" theme. Tournament director Heather Kelso told CBC's Up North that the experience can be "intense" for the kids. "Some [participants] get really nervous, some get excited," Kelso said. "They only have 4 chances at the robot table to show what they've created. Sometimes it works, sometimes it doesn't. Sometimes it can be frustrating for the kids." But despite the competitive nature of the event — only three teams out of 20 go to the next level— Kelso said the kids treat each other like family. "If there's a team having a problem, other teams will come in and help each other out," Kelso said. "Other teams come fix their problem, rally around them so they are able to compete." In past years, teams have set to solving particular problems that affect astronauts: physical, mental, psychological. Other teams attempted to figure a way to let shuttles navigate through the vast amount of space debris. The reason the teams are assigned real-world problems, Kelso said, is to prepare them for a future where their ability to solve problems could have a big impact on the world. "No engineer can build something just because they want to," she said. "They always have to have a problem, do some research and find a solution, then they have to present it to people." "That's what we're training them to do." To listen to the full interview with Heather Kelso, click the audio link below.